Ports O’ Call Village will be transformed into a public marketplace and a destination for boaters, tourists and locals. The village will be renamed the San Pedro Public Market. Redevelopment will replace Ports O’ Call Marina and village area with new visitor-serving venues. SAN PEDRO — The fight of a handful of recreational boaters to save a dilapidated marina appears to be giving way to a full renovation of Ports O’ Call Village into a destination complete with new restaurants, creative office space, shopping, fresh food markets and a waterfront promenade. 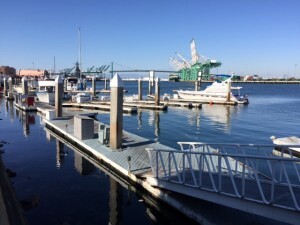 The Port of Los Angeles Board of Harbor Commissioners approved a 50-year lease agreement to renovate and redevelop 30 acres of San Pedro’s waterfront, it was announced on May 19. Plans, however, come at the expense of Ports O’ Call Village, which include a marina and a handful of restaurants. Commissioners voted on Jan. 22 to end a leasehold relationship between the city of L.A. and Ports O’ Call Corp., resulting in the marina being shut down. City and port officials went on the record to say they would help Ports O’ Call Marina tenants’ move elsewhere. However in recent weeks a group of boaters still remained in their slips, despite given notices to vacate. At least two boaters informed The Log in mid-May they were given notice to vacate by June 1. Any boaters still in a slip after then could face an Unlawful Detainer (eviction) proceeding, the boaters said. The Los Angeles City Attorney’s office did not provide details about potential eviction plans. How the Ports O’ Call Marina and neighboring commercial area would look like in coming years is still in the conceptual phase and final plans would have to be approved by the Los Angeles City Council. Yet last month’s approval of the long-term lease brings the port’s revitalization plans closer to reality. Planners and city officials hope to create a bustling visitor-serving environment in San Pedro similar to waterfront destinations in San Diego, Santa Monica and San Francisco. About 16 of the 30 acres to be revitalized would be developed as part of a public-private partnership between City Hall, The Ratkovich Co. and Jericho Development. 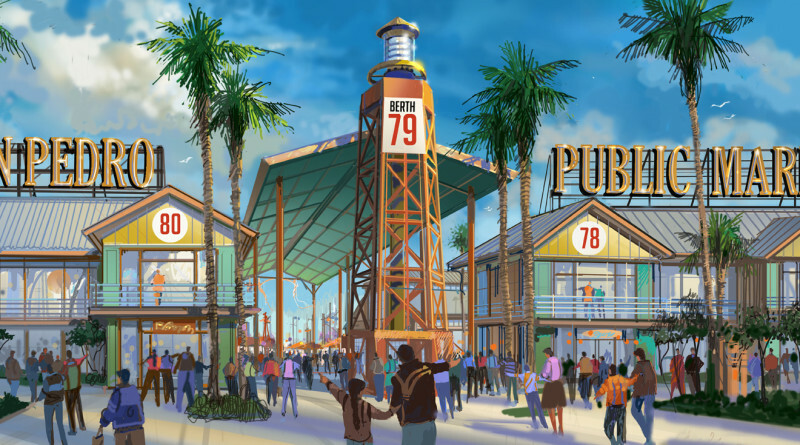 Ports O’ Call Village would be renamed San Pedro Public Market and launch the first phase of L.A.’s $150 million revitalization plans in the city’s Harbor district. “The San Pedro Public Market will be the crown jewel of the L.A. Waterfront,” L.A. City Council member and Harbor area representative Joe Buscaino said in a statement. A few boaters who called Ports O’ Call Marina home for many years were not unaware of the 50-year lease agreement. “They’ve basically been ignoring us,” said Patty Lawrence, who has lived aboard her boat at Ports O’ Call Marina for 13 years. Also unaware of the commission’s vote was Chuck Parcell, who owns a boat berthed at Ports O’ Call Marina. The Ports O’ Call project is one of four areas in the San Pedro and Wilmington neighborhoods the Port of Los Angeles is contractually obligated to pursue public access infrastructure projects. The other three areas are: Sampson Way and 7th Street Intersection Improvements; the Town Square at 6th Street project; and, a public access dock project for recreational boater use. City officials have reportedly spent $600 million to date on projects such as Wilmington Waterfront Park, the Harbor Boulevard Parkway Promenade, and renovations to Downtown Harbor and Cabrillo Way Marina. Another $400 million in public access investments is anticipated during the next decade. The Los Angeles City Council must still approve the 50-year lease agreement. Assuming all goes as planned the waterfront revitalization could be completed by 2020. That’s just like L.A. to close another Marina – shame on them. And how sad to lose a beautiful name like Ports ‘O Call.